NAWBO has appointed Kathleen Warnick of Warnick Consultants to Chair of the 2017-2018 Board of Directors. The incoming Board of Directors’ plans will strengthen NAWBO’s initiatives of providing educational programs and resources women entrepreneurs need to be successful in all stages of business growth. Kathy has established a reputation as professional, honest, knowledgeable, innovative and practical. Through more than 30 years of business and leadership experience, she has an expansive understanding of the unique needs of a variety of businesses. She built Warnick Consultants on the core principle of refusing to believe that one size fits all and that every business has a unique set of needs for its financial and operational systems. Kathy has been honored as a Woman to Watch by Columbus Business First and selected as an Outstanding Woman in Technology finalist by Rev1 Ventures in central Ohio. In 2016, Warnick Consultants was honored to be a finalist for the Business First Corporate Caring Award. Warnick received the Medical Mutual Pillar Award for Nonprofit Board Executive of the Year for community service for her work in NAWBO, the Women’s Small Business Accelerator and the Young Entrepreneurs Academy. She was instrumental in bringing the Young Entrepreneurs Academy to the Columbus area. 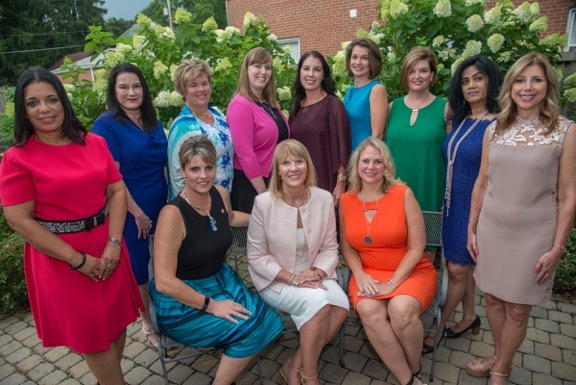 The 2017-2018 NAWBO National Board of Directors will be composed of: Kathleen Warnick –Chair; Teresa Meares – Past Chair; Molly K. Gimmel – Chair Elect; Tanya R. Allen, Jeanette Armbrust, Diane E. Ferry, Loreen Gilbert, Cristina Morales Heaney, Shaila Rao Mistry, Jennifer Brand Ransom and Emily Wirowek. At “Together We Dare,” the National Women’s Business Conference hosted by NAWBO and held October 15-17 in Minneapolis, Minnesota, the National Board will be introduced to members and partners.